The following document outlines the exact organisational structure and membership obligations, guidelines and decision-making rights of Academic Council Members (ACM), external advisors and partners of the European Neighbourhood Council (ENC). This includes obligations and representation of external advisors, ACMs, non governmental and network partners and rules regarding the decision making of ENC’s annual research, event and project planning from a subject and country-based perspective. ENC is divided into five separate structures: Academic Council, External Advisors, Regional Networks and Research and Event Partnerships. Each separate structure will be defined and examined below with references to funding, decision-making, including on-going obligations and annual tasks. ENC is a non-profit organisation with its legal seat in Brussels, Belgium. It serves as an independent research centre with a platform for university academics specialised in democracy, foreign affairs, economy, education and security. The aim is to foster inter- and cross- regional dialogue, research, events and projects between academics and policy makers throughout the defined geographical and topical areas of ENC. The guidelines for ENC’s Academic Research, Academic Events and Academic Projects are determined annually through consultations with all ACMs. For more information please check the ENC Academic Council Partnerships and Organizational Guidelines in PDF format below. Academic Council Members are posts exclusively reserved for academics – enrolled, academically employed or conducting research for a university institution – in any EU member state, EU candidate country, European Neighbourhood Policy area country, Gulf Cooperation Council countries or one of the five Central Asian republics. Academic Council Members determine the guidelines for research and projects to be undertaken by ENC on an annual basis. ENC Academic Council Member and Jean Monnet Chair at Marin Barleti University in Tirana. Areas of Expertise: Western Balkans, European Union, democratization, EU enlargement, Europeanization and South-Eastern Europe. 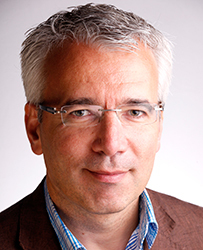 Professional Background: Dr. Dorian Jano is the Jean Monnet Chair at Marin Barleti University. Dr. Jano holds an MA in Eastern European Studies from the University of Bologna and a PhD in Political Studies from the University of Milan. He has been a visiting research fellow at the Institute for European Integration of the Europa-Kolleg in Hamburg and at the Institute for Advanced Study of the Collegium in Budapest. He regularly participates in international conferences and has been published in international peer-reviewed academic journals. Professional Background: Prof. Dr.Bouhania Goui has been graduated with excellent remark of PhD degree in political sciences at Algiers University with collaboration of Paris University in 2007. Professor Goui has participated in over 100 International and national academic events and conferences in different countries such, Morocco, Tunisia, Saudi Arabia, Germany, France, Switzerland and Turkey. He wrote over 40 articles in Arabic and French and 14 books about issues of state transformations, elections, democratization, and administration. He is also conducting many Doctoral and Master Thesis in political sciences, International Relations and Constitutional Law. Professor Goui is well known activist and political analyst in the media and talk shows in Algeria and abroad. Areas of Expertise: Analysis of geopolitical issues, defense and geo-strategic issues. ENC Academic Council Member and the Head of the Turkish Studies Department at the Institute for Oriental Studies, National Academy of Sciences of Armenia and Assistant Professor at the College of Humanities and Social Sciences, American University of Armenia. Areas of Expertise: Political Islam, Kemalism, Turkish domestic and foreign policy issues, South Caucasian regional security problems. Professional Background: Dr. Ter-Matevosyan holds postgraduate and graduate degrees from Bergen University (Norway), Lund University (Sweden), Institute of Oriental Studies and Yerevan State University (Armenia). He was a Fulbright Scholar at the University of California at Berkeley, CA, and a Visiting Professor at Duke University, NC. 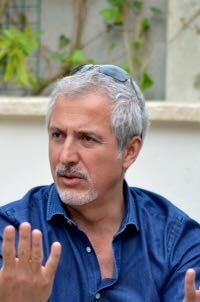 His previous work has been published in Turkish Studies, Middle Eastern Studies, Insight Turkey, Journal of Southeast European and Black Sea Studies, Iran and the Caucasus, Études Arméniennes Contemporaines, Turkish Review, Caucasus Analytical Digest and Contemporary Eurasia. 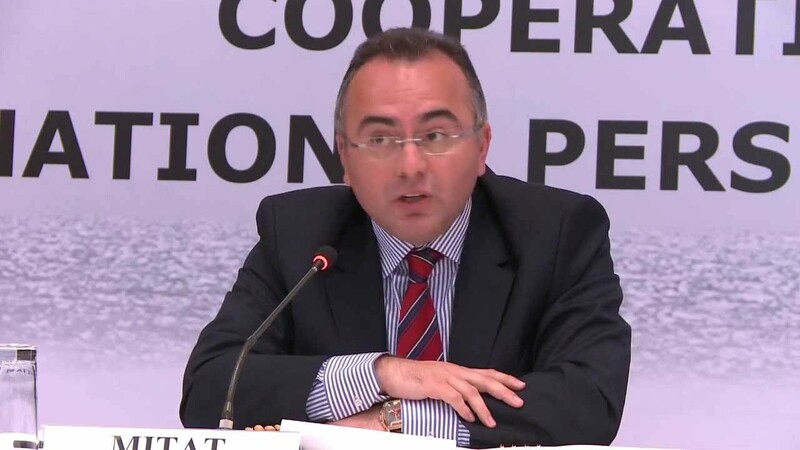 Dr. Ter-Matevosyan authored an award-winning monograph “Islam in the Social and Political Life of Turkey” in 2008 and co-authored “History of Turkish Republic” in 2014. ENC Academic Council Member, Deputy Vice Rector for Scientific Policy and International Cooperation and Head of International Cooperation Office at Yerevan State University (YSU). Areas of Expertise: Democratisation, executive-legislative relations in Newly Independent States (NIS) and Eastern European countries; electoral laws and electoral processes in NIS and Eastern European countries, studies in political opposition, comparative trends in higher education and Bologna Process ınfluence over educational development in NIS. Professional Background: Dr. Alexander A. Markarov is responsible for the management and overall responsibility for YSU’s international academic, educational and scientific collaboration, and supervision of the activities of International Relations, Grants, Diaspora and Foreign Students Departments. He is also Member of YSU Academic Council, YSU Rectorate and Rector’s Council and Member of YSU’s strategic planning committee (SPC). Dr. Markarov has a rich volume of publications and awards (2014 Golden medal of the Ministry of Education and Science of the Republic of Armenia, 2009 YSU Golden Medal for Achievements, 2000 and 2001 Official Citations by the Standing Committee on Foreign Affairs of the National Assembly of the Republic of Armenia). 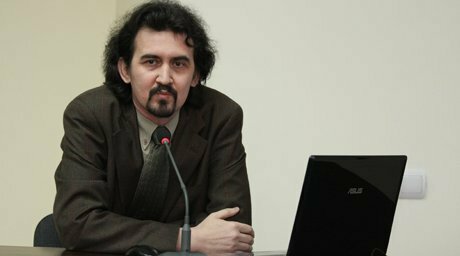 ENC Academic Council Member and Associate Professor at the Center of European Studies, Yerevan State University in Armenia. Areas of Expertise: International security studies, small state studies, EU studies, regional integration, Armenian foreign and security policy. Professional Background: Dr. Galstyan has taught at the Faculty of International Relations at Yerevan State University in Armenia. He has written over 20 articles and book chapters, co-authored 3 manuals and 1 monograph. ENC Academic Council Member and Professor of the International Relations Department, Belarusian State University in Belarus. Areas of Expertise: History and contemporary issues of Belarus’ foreign policy, Poland’s contemporary foreign policy, international relations in Eastern Europe in the 21st century, historical policy of Belarus and Poland, Belarusian foreign policy present-day situation, Belarusian activity in international organisations, contemporary political processes in Central and Eastern Europe and in the former Soviet republics. Professional Background: Prof. Snapkovsky was the first scholar in Belarus to teach at various universities courses on the history of Belarus’ foreign policy, foreign policy of the Republic of Belarus, international organizations, history of the United Nations, and international communication. He is one of the authors of the “Foreign Policy Concept of the Republic of Belarus” that was prepared for the Belarus’ Ministry of Foreign Affairs in 2001. He was the Head of the Department of Inter-ethnic and International Relations, Institute of History, National Academy of Science of Belarus in 1995-2000. He also headed the research themes on Belarusian diplomacy and diaspora in the 20th century. He is a supervisor of the post-graduate students, which are working on the various aspects of Belarus’ foreign policy. Prof. Snapkovsky was recognized by the International Biographic Center in Cambridge as the International Man for the Year of 2000-2001 and was included in different nominations by this center. ENC Academic Council Member and Researcher at the GERMAC (Université de Louvain-La-Neuve). Areas of Expertise: Arab World, Education, Religious minorities. Professional Background: Dr. Saenz-Diez’s PhD dissertation on Education in Egypt since the 1950s has been published in 2013, “Égypte d’une Révolution à l’autre. Politiques d’enseignements et changements sociaux”, in which she analyses, among other things, the Islamisation of society through Education. In addition to her academic activity, she cooperates with many international medias (newspapers, TV and radio). Previously, Dr. Saenz-Diez has been working in Madrid with the Taller de Estudios Internacionales Mediterráneos (Universidad Autónoma de Madrid) and in Paris with the Institut Maghre-Europe (Université Paris VIII). ENC Academic Council Member, teaching and research assistant in Political Science at the Université libre de Bruxelles (ULB) and lecturer at the Université Catholique de Louvain (UCL). Areas of Expertise: South Caucasus, Political economies of conflict, International relations, Development and humanitarian aid. Professional Background: Dr. Prelz Oltramonti received her PhD in Political Science from the Université libre de Bruxelles. 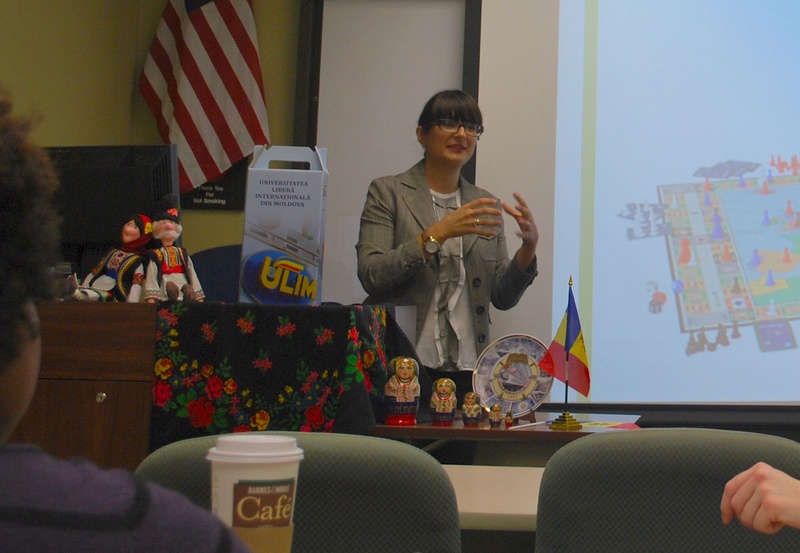 She defended a thesis on political economies of conflict protraction in Georgia. She is an alumnus of King’s College London (MA Conflict, Security and Development) and University College London (BA European Social and Political Studies). She has also worked in the fields of development (Integration Consortium, DG AIDCO) and political campaigning (Obama for America, Campaign for Change). ENC Academic Council Member and Founder of the Task Force on the European Neighbourhood Policy (ENP) at Université Saint-Louis Bruxelles. Areas of Expertise: Union for the Mediterranean region, Neighbourhoods’ energy stakes, successive reforms of the ENP, interests and values of the EU. Professional Background: Before devoting his time to research and teaching in his current project, Dr. Leray served as Advisor on strategic thinking on foreign policy, defence, security and armament at the European Commission, including as advisor to Jacques Delors. His educational background includes namely a PhD in Economics Sciences. ENC Academic Council Member and lecturer at the Department of Political Science at Vrije Universiteit Brussel (VUB). Areas of Expertise: Ethnic tensions, Ukraine, Baltic countries, Nationalism, Nation branding and Consumer citizenship. 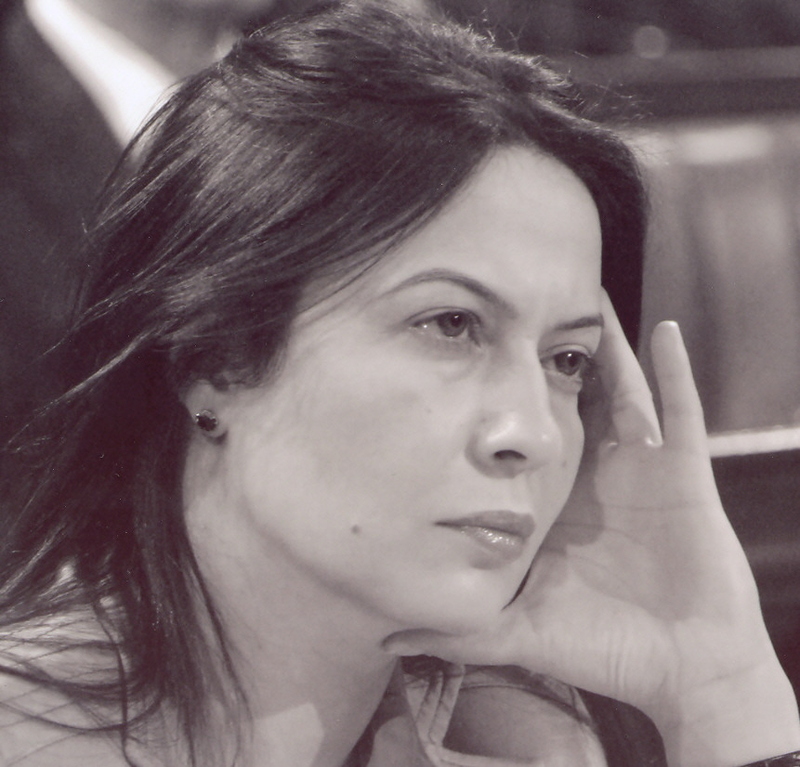 Professional Background: Dr. Aleksandra Seliverstova is a researcher and a lecturer at the Department of Political Science at Vrije Universiteit Brussel (VUB). She received her joint doctoral degree from the Vrije Universiteit Brussel and Tallinn University in 2017. From 2013 till 2016 she was a Marie Curie Research Fellow at the Institute of Governance, Law and Society at Tallinn University (TU). Her research focused on exploration of everyday nationalism and bottom-up nation building through consumer culture in multi-ethnic societies of the former Soviet space. In 2008 she received her MA in Eastern European Studies from Free University Berlin, where her research focused on ethnic conflicts in post-Soviet area. For several years she was engaged in the NGO sector in Ukraine and Germany. ENC Academic Council Member and Associate Professor at Vesalius College and Senior Associate Researcher at the Institute for European Studies, Vrije Universiteit Brussel (VUB). Areas of Expertise: Media and Europe, Media and Ethnopolitical Conflict, Research and Media Ethics, Public Diplomacy. Professional Background: Pr. Dr. Georgios Terzis is Associate Professor at Vesalius College and Senior Associate Researcher at the Institute for European Studies, Vrije Universiteit Brussel. He did post-doctoral research at the University of Pennsylvania on Ethnopolitical Conflict Studies, he received his Ph.D. in Communication Studies from the Katholieke Universiteit Brussel, and he studied Journalism and Mass Communication in Greece, UK, USA and The Netherlands. His research focuses on media and security governance, European media governance, Public Diplomacy and Foreign Correspondence. He has been teaching and doing research in journalism and communication departments of many universities for more than 20 years. He has also been involved in several international research projects and networks. He is the founding Chair of the Journalism Studies Section of the European Communication Research and Education Association. He is an editorial board member of four academic journals and has been working as a reviewer for most of the major publishing houses of the communication field, as well as the European Commission and the Council of Europe. ENC Academic Council Member and Professor at the American University in Cairo and Senior Associate at Carnegie Endowment for International Peace in Washington. Areas of Expertise: Democratization processes in Egypt, tensions between freedom and repression in the Egyptian public space, political movements and civil society in Egypt, contemporary debates in Arab political thought, and human rights and governance in the Arab world. Professional Background: Prof. Hamzawy studied political science and developmental studies in Cairo, The Hague, and Berlin. He was previously a senior associate in the Middle East program at the Carnegie Endowment for International Peace between 2005 and 2009. Between 2009 and 2010, he served as the research director of the Carnegie Middle East Center in Beirut, Lebanon. He has also served at the faculty at the American University in Cairo, Cairo University, and Stanford University. Prof. Hamzawy is a former member of the People’s Assembly elected in the first Parliamentary elections in Egypt after the January 25, 2011 revolution. He is also a former member of the Egyptian National Council for Human Rights. Hamzawy contributes to a weekly op-ed to the Egyptian independent newspaper Shorouk. Professional Background: Bahgat Korany is an elected Fellow of the Royal Society of Canada and an Honorary Professor at the University of Montreal, Canada. Before joining academia, Korany worked in the United Nations (European Office) from 1970 to 1974 while initiating his academic career, first at the Graduate Institute of International Studies, Geneva (1970-74), then at the University of Montreal (1974 to the present). He has been a visiting professor at various universities from Harvard (visiting scholar) to Oxford and Paris. He was the Founding Director of the Inter-University Consortium of Arab Studies, Canada. He is also a founding member of the international organisation of South-South Cooperation (Beijing, April 1983). In addition to media activity and public talks, including at the British Parliament in January 2013, Korany has published 12 books and, contributed chapters to 27 other books. His 2010 book “The Changing Middle East” has been noted by CNN as indicating the “Arab Spring” a year before it happened. ENC Academic Council Member and Lecturer on Human Security at the Paris School of International Affairs (PSIA) and at the Summer School of the Institute of Political Sciences (Sciences Po) in Paris and Member of Board of Directors at the Afghan Institute for Strategic Studies in Afghanistan. Areas of Expertise: Politics in Tajikistan, Central Asian studies, human rights, radicalization. Professional Background: Dr. Tadjbaksh holds her PhD in Central Asian Studies from the Columbia University in the US. She was the Consultant for the Implementation of the UN Global Counter Terrorism Strategy in Central Asia between 2010 and 2012. She was the Director of the CERI Program for Peace and Human Security at the Center for Peace and Human Security in Paris. She has published, authored, translated and edited numerous books including, “Between a Rock and a Hard Place: Afghanistan and its Region” with Kristian B. Harpviken published by Hurst Publishers and Oxford University Press; “Iran and its Relationship with Afghanistan After the Nuclear Deal” with Mohammed Fazeli published by the Peace Research Institute Oslo. ENC Academic Council Member and lecturer at International Relations Department and Law Department of Tbilisi State University. Areas of Expertise: EU Foreign Policy, ethnic conflicts, management of peace processes, migration and border management. Professional Background: Dr. Samkharadze graduated from the University of Hanover in 2003 with a Master of Arts degree in European Studies. Samkharadze holds a PhD in International Relations. In 2004-2005 he worked as policy analyst in the project administered by RAND Corporation “Strengthening analytical capacity of the National Security Council of Georgia”. Between 2005 and 2009 he served as a national expert at NSC of the EU Special Representative’s Office to the South Caucasus. Since 2010, he works as a Country Manager of South Caucasus Integrated Border Management Programme implemented by the United Nations Development Programme. Furthermore, he has been giving lectures at the International Relations Department of Tbilisi State University in capacity of invited professor since 2009. He speaks Georgian, Russian, English and German. Areas of Expertise: Foreign policy, security studies, regional studies, post-communist countries. 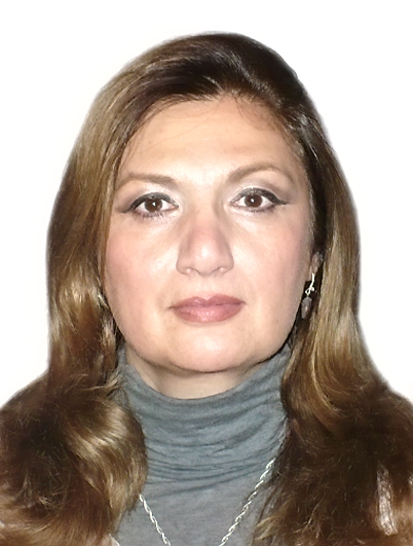 Professional Background: Dr. Asanishvili earned her PhD in Political Science at Tbilisi State University in 2003. Now she is an Associate Professor at Tbilisi State university (TSU) Faculty of Social and Political sciences, department of International Relations. She is a head of international MA program in Eurasian and Caucasian studies, an interdisciplinary English-language Master’s Program in Social Sciences in TSU. She was awarded several fellowships and grants: Lane Kirkland scholarship by Polish American Freedom Foundation, Marie Curie scholarship, Erasmus Mundus, Erasmus+, Ronald and Eileen Weiser Professional Development Award, Weiser Center for Russian East European and Eurasian Studies (WCEE) University of Michigan, USA. She was an invited professor in the University of Wroclaw (Poland), Aleksanteri Institute, University of Helsinki (Finland), University of Vilnius (Lithuania), Vytautas Magnus University (Lithuania). She is an author of 2 monographs articles about South Caucasus regional security, EU south Caucasian Relations and Russia’s politics in Eurasia. ENC Academic Council Member and Assistant Professor at the Department of International Relations, Faculty of Social Political Sciences in Tbilisi State University in Georgia. Areas of Expertise: Security, conflicts, democratization and transformation, ENP, Caucasus, Russia and Georgia. 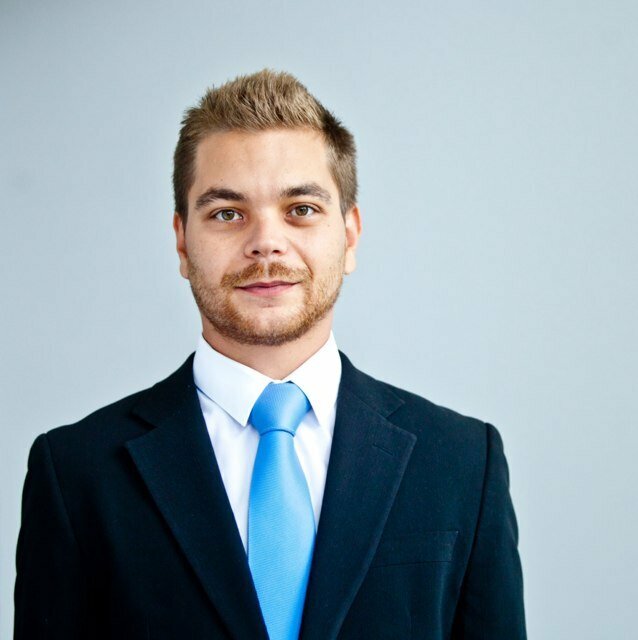 Professional Background: Dr. David Matsaberidze, holds his PhD in Political Science from Tbilisi State University and had studied Conflict and Nationalism at the Central European University, earning MA in Nationalism and Ethnicity Studies. Since 2013 he is an expert with Partnership for Peace Consortium of Defense Academies and Security Studies Institutes and was recipient of the Academic Fellowship Programe of the International Higher Education Support Programe, Open Society Foundations in 2008-2014. He is author of around 15 articles and 2 book chapters published with various research and policy institutions in Germany, Austria, Romania, Serbia, Hungary, Ukraine and Great Britain. ENC Academic Council Member and Assistant Professor in International Political Economy, Department of Politics and International Studies in the University of Peloponnese, Greece and Research Associate at ELIAMEP. Areas of Expertise: Comparative regionalism, security and development, European Neighborhood and Black Sea politics. 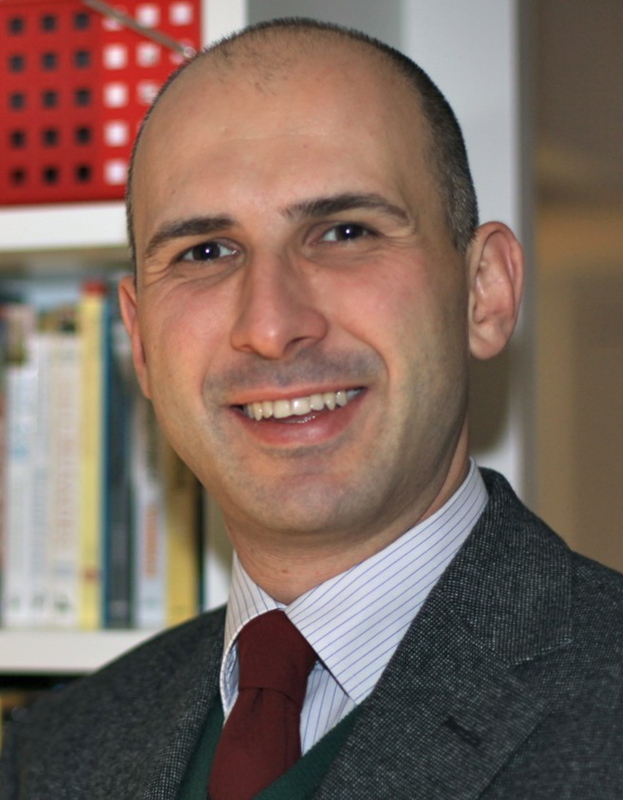 Professional Background: Dr. Manoli is an Assistant Professor in International Political Economy, Department of Politics and International Studies in the University of Peloponnese, Greece and Head of the Programme on East European, Slavic and Eurasian Studies at ELIAMEP. She has been a Visiting Professor at the European Studies Center at the University of Pittsburgh (2016) and a Policy Scholar at the Woodrow Wilson International Center for Scholars in Washington D.C. (2010). Besides, she was the Director of Studies and Research at the International Center for Black Sea Studies – ICBSS in Athens between 2005 and 2009. Between 2000-2004, she was the Secretary of the Economic Affairs Committee of the Parliamentary Assembly of Black Sea Economic Cooperation in Istanbul. She is an Associate Editor of the Journal Southeast European and Black Sea Studies published by Routledge, Taylor and Francis. She holds an MA and a PhD from the University of Warwick where she studied as an Alexandros A. Onassis scholar. She is the author of The Dynamics of Black Sea Regionalism published by Ashgate in 2013 and editor of the Aftermath of the Ukrainian Crisis published by Routledge in 2016. ENC Academic Council Member, Jean Monnet Chair ad personam in European studies, Chair of the Department of Politics and Government at Ben-Gurion University of the Negev (amongst others). Areas of Expertise: Legal and political dimensions of the EU’s security and foreign policy, EU-Israel relations, Euro-Mediterranean region. Professional Background: Professor Sharon Pardo has several responsibilities at Ben-Gurion University of the Negev and has published widely in his areas of expertise. He is an adjunct fellow at the National Centre for Research on Europe (NCRE) at University of Canterbury, New Zealand, and a board member of the Israel Council on Foreign Relations (ICFR). Furthermore, he teaches courses on the European integration process, diplomacy and public international law. ENC Academic Council Member and Professor at the Department of International Relations and Regional Studies at Jordan University. Areas of Expertise: International relations, comparative politics, Islamic movements, diversity of political culture of the Middle East. Professional Background: Dr. Al Ougili holds a PhD in Political Science from Boston University in the US. He was the Vice-Dean in Graduate Studies at The World Islamic Sciences & Education University In Amman Jordan. He has published, authored, translated and edited numerous books including, “Political Participation in Arab States: The 11th Jordanian Parliamentary Election of 1989,” published by the Journal of Political Science in 1996, “The Influence of Radicals Religious Political Parties on Israeli Political System,” published by the Journal of Diplomatic Studies in 1998, and “The Determinant of Canadian Foreign Policy toward Middle East,” published by Journal of Diplomatic Studies in 2000. ENC Academic Council Member and a political scientist and human rights professor at the University of Jordan. Areas of Expertise: Middle East politics, human rights, conflict management and resolution, the democratization and politics in the Middle East, and Islamic politics. Professional Background: Dr. Eyadat is the founding chairperson of the Human Rights Department, which later became the Political Development Department, and the founding Dean of the Prince al-Hussein School of International Studies at the University of Jordan. He is currently a visiting scholar at Georgetown University and a Professor of Political Science and Human Rights at the University of Connecticut. He received his PhD in Political Science from the University of Southern California. Dr. Eyadat has over ten years of experience in researching the democratization of the Middle East within the framework of game theory, and he has formally been trained in comparative and international politics as well as game theory methodology. Through his membership in both governmental and non-governmental organisations, as well as international institutions, he has extensively contributed to the analysis and advancement of Middle East politics within a comparative and international framework, working extensively on legislation, policies, and procedures with the Jordanian government and NGOs. ENC Academic Council Member and Professor of Political Science at the Hashemite University in Jordan. Areas of Expertise: Political Islam, European-Arabian relations, politics of Jordan. Professional Background: Prof. Shalabi holds a PhD in Political Science from the Faculty of Law at Paris University Panthéon-Assas. Between 2005 and 2007, he was the Director of the Department of Humanities and Social Sciences & Program of International Relations and Strategic Studies at Hashemite University. In 2006, he won UNESCO Sharjah Prize for Arab Culture in Paris. He is also the member of the International Scientific Journal on Defense Issues in Algeria. Between 2011 and 2013, he was the Vice-Dean of the Faculty of Letters at Hashemite University in Jordan. Prof. Shalabi published more than 30 researches and articles in Arab and international scientific journals including; “Jordan: Revolutionaries without a Revolution” by the Arab Institute for Research and Publishing in 2017, ”Globalization and its impact on Media & Education in Jordan” by The Arab Institute for Research and Publishing in 2009. ENC Academic Council Member and Professor of International Relations and Middle East politics at the University of Jordan and Qatar University, Visiting professor at Yale University and a professor of Middle East politics at the University of Nebraska at Omaha. Areas of Expertise: Arab-Israeli conflict and the Middle East peace process, democratization, regional security and Middle Eastern politics. Professional Background: Hassan A. Barari received his Ph.D. from Durham University in England in September 2000, his MA from Leeds University in England in 1995 and his BA from the University of Jordan in 1992. He is a columnist for the English Jordan Times. He is also a frequent commentator for key Arab and international TV stations. He has written extensively on the Arab-Israeli conflict and the peace process in Arabic and English. He has also contributed numerous scholarly articles to different international journals on regional security; democracy, and radicalism and participated in scores of international conferences throughout Europe, the United States, and the Middle East. Dr. Barari is also served as a Senior Fellow at the United States Institute of Peace (USIP) based in Washington, D.C. for the year 2006-07. From 2001-2006, he was a senior researcher at the Center for Strategic Studies at the University of Jordan. Professional Background: Prof. Faisal Odeh Al-Rfouh, a Fulbright Scholar, was the Dean at Prince Al-Hussein Bin Abdullah II School of International Studies, University of Jordan, and the professor for International Relations and former Minister of Social Development, Administrative Development and Culture of Jordan. He was president of The Orient Center for Studies and Cultural Dialogue and chairman of Political Science Department of the University of Jordan for 19 years. He was a visiting professor at Brigham Young University, USA (2000-2001), Eastern Michigan University, USA, (2009-10), York University, Canada (2009), Toronto University, Canada (2010) and McGill University (2013). Prof. Al-Rfouh was awarded at 2002 the “Ambassador for Peace” from the Interreligious and International Federation for World Peace. ENC Academic Council Member and Associate Professor at the Department of International Relations and Regional Studies of KIMEP University (Kazakhstan) and the Director of the KIMEP Central Asian Studies Center (CASC). Areas of Expertise: Central Asian politics and security, Eurasian geopolitics, energy security, Kazakhstan’s foreign policy. Professional Background: Assoc. Prof. Kassenova holds her PhD in International Cooperation Studies from Nagoya University (Japan). She taught many courses including Fundamentals to International Relations, Comparative Politics, U.S.-Central Asia Relations, Russia-Central Asia Relations, Asian Security: Theory and Practice, and Japan in Global Politics at KIMEP University. Assoc. Prof. Kassenova has many publications including “Kazakhstan’s Policy Toward Afghanistan: Context, Drivers and Outcomes” in “Afghanistan and Its Neighbors After the NATO Withdrawal” (2016) edited by Christian Bleuer. ENC Academic Council Member and Professor of the Kazakh-German University in Almaty in Kazakhstan. Areas of Expertise: Logic, methodology and philosophy of science, international security theories, military and political security of the Central Asian countries, weak states’ security. Professional Background: Prof. Burnashev holds his PhD from the Muminov Institute of Philosophy and Law of the Academy of Science of the Republic of Uzbekistan. Dr. Burnashev has issued around sixty academic publications in Germany, India, Japan, Kazakhstan, Russia, South Korea, the USA, and Uzbekistan. He is the co-author of the book “Security in Central Asia: Methodological Frameworks for Analysis (Military Sector of Security)” at the Kazakh-German University in 2006. ENC Academic Council Member and Assistant Professor in the Department of Political Science at Nazarbayev University in Kazakhstan. Areas of Expertise: Multilateral institutions, rising powers and security studies, with a regional focus on Eurasia. Professional Background: Prior to joining NU in the Fall 2015, Dr. Contessi held fellowships at Columbia University (Harriman Institute) and at McGill University (Centre for International Peace and Security Studies) where he also co-chaired the Summer School on Diplomacy, Defence and International Security. His work has been published in Asian Security, Cambridge University Press, China and Eurasia Forum Quarterly, Caucasian Review of International Affairs, International Journal, Journal of Eurasian Studies, Oxford University Press, Presses de l’Université du Québec, Problems of Post-Communism, The RUSI Journal, and Security Dialogue. Dr. Contessi has also consulted for various clients, including the Canadian Department of Foreign Affairs, International Trade and Development and with the Organization for Security and Cooperation in Europe. ENC Academic Council Member and Assistant Professor at European Studies Department at the American University of Central Asia. Areas of Expertise: Russian Politics, Multiculturalism and Minority Rights, European Integration and External Relations, and Diaspora Politics. Professional Background: Görkem Atsungur has been an Assistant Professor at American University of Central Asia since August 2012 where he teaches Modern Europe, European Government Systems, Introduction to European Security, European Integration and External Relations, Extremism and Democracy in Europe, Research Methods, Identity-Nation States and Europeanization, and Multicultural Societies: Religious and Social Conflicts courses. He received his B.A in International Relations from Cyprus International University and his M.A. in European Studies from Istanbul Bilgi University and his MA in Political Science – European Politics from Masaryk University in the Czech Republic. Currently, he continues his Ph.D. studies in the Political Science: International Relations Major and Nationalism Studies Minor programs at the Central European University in Hungary. ENC Academic Council Member and Associate Professor at the Department of International and Comparative Politics of the American University of Central Asia. Professional Background: Dr. Tursunkulova has served as the Vice-President for Academic Affairs of the American University of Central Asia for eight years. She has taught at the Department of International and Comparative Politics since 2000. Along with regular courses, she has offered several experimental courses together with partners from Bard College, USA and other partner universities. In 2016, Dr. Bermet Tursunkulova has been responsible for coordinating the preparation activities for the World Nomad Games II (held in September 2016) and has been a chief fundraiser and liaison between the Secretariat, sponsors, partners and the President’s Administration. Dr. Tursunkulova has published in East European Politics, Central Asian Survey, International Higher Education Journal and other. Dr. Tursunkulova is also a former Deputy Minister of Education and Science of the Kyrgyz Republic. ENC Academic Council Member and Assistant Professor at the Beirut Arab University in Lebanon. Areas of Expertise: Public international law, human rights, international organizations and international economic law, fighting human trafficking. 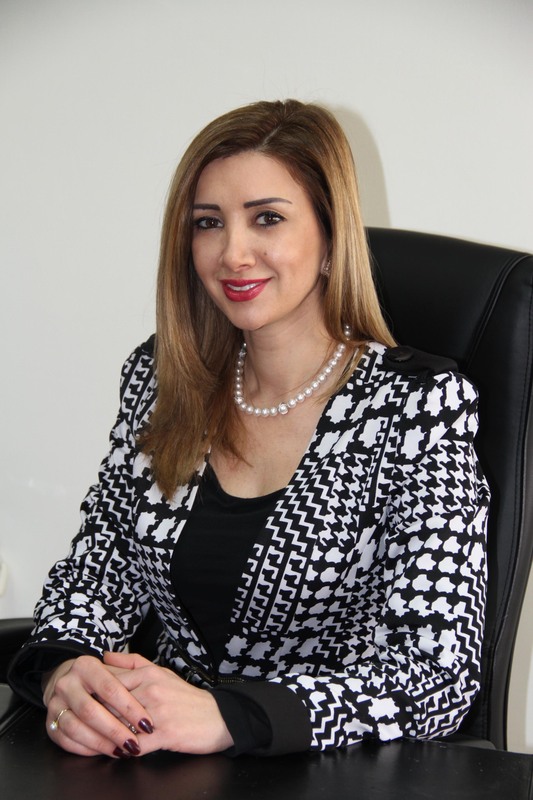 Professional Background: Dr. Younes obtained her Bachelor’s degree in Law from La Sagesse University in Lebanon in 2000 as well as her Diploma in “Juriste d’affaires”. She received her PhD in Public Law in 2013 from Jean Moulin University- Lyon 3 in France and her Masters Degree in 2008 from La Sagesse University in Lebanon. She is Assistant Professor in the Department of Public International Law and Assistant Dean at the Faculty of Law & Political Sciences. Dr. Younes works as an International trainer and consultant for several international organizations and NGOs including OHCHR, UNDP and Friedrich Ebert Stiftung. ENC Academic Council Member and is Associate Professor of Political Science and International Affairs, Associate Chair of the Department of Social Sciences, Director of the Institute for Social Justice and Conflict Resolution (ISJCR) at the Lebanese American University. 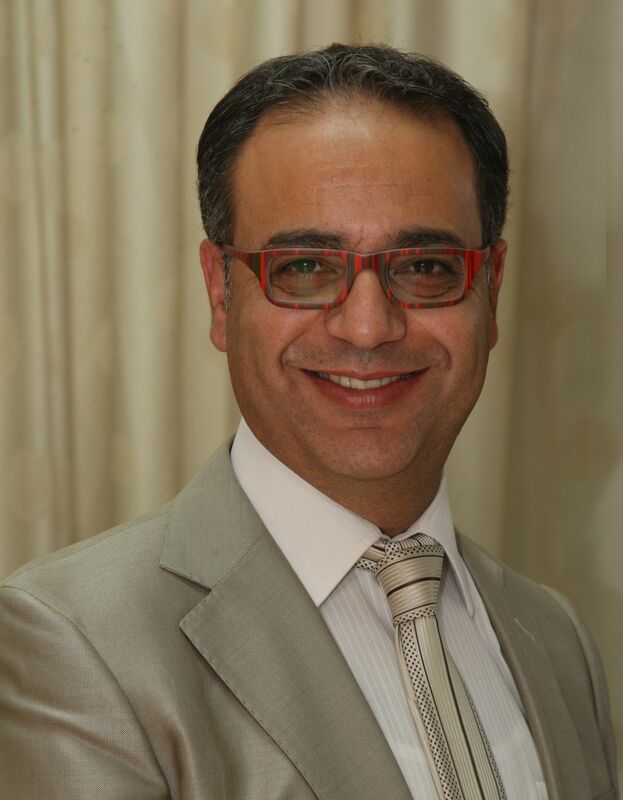 Professional Background: Dr. Salamey is the current contributing editor of the London-based The Arab Weekly. Dr. Salamey is the author of “The Decline of Nation-States after the Arab Spring: the Rise of Communitocracy” (Routledge, 2017) and “The Government and Politics of Lebanon” (Routledge, 2014). His research examines the root cause of rising ethnic and sectarian polarization and corresponding proliferation of transnational extremism in the MENA countries. He is a Senior Policy and Program Evaluation consultant for various governments and International Organizations on issues related to Middle East’s sectarian relations, democratic transitions, Islamist movements, public policy, election, rule of law, human rights, power sharing, security, and defense. ENC Academic Council Member and Professor of Political Science and International Relations at Lebanese American University (LAU). Areas of Expertise: Political economy of postwar Lebanon, Arab reactions to U.S. Middle East policy, Arab intellectuals’ representations of the United States and contemporary Islamist perspectives on international relations. Professional Background: Sami E. Baroudi joined LAU as an assistant professor of political science in October 1992 and is currently a Full Professor. He played a major role in launching the M.A. in International Affairs Program at LAU and in reviewing the undergraduate programs in Political Science and Political Science – International Affairs. He has published extensively on the political economy of the Middle East, particularly Egypt and Lebanon. Baroudi is currently working on a book-length study tentatively titled: “Contemporary Islamist Perspectives on International Relations: Mainstream Voices from the Sunni and Shia Arab World”. 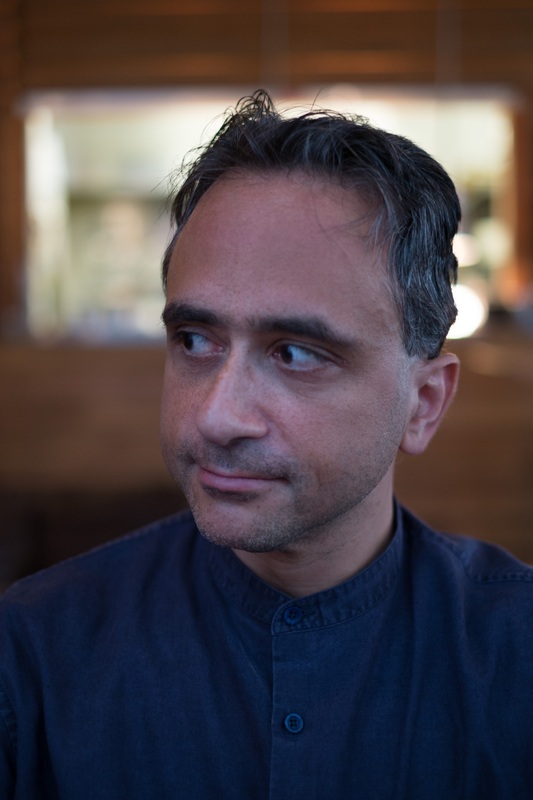 Baroudi is a member of the International Studies Association (ISA), the Middle East Studies Association (MESA) and the British Society for Middle Eastern Studies (BRISMES). Areas of Expertise: Power-sharing in divided societies, Euro-Mediterranean migration dynamics and governance, Arab states’ coping mechanisms with forced migration, role of immigrant communities and diasporas in democratization and conflict transformation. Professional Background: Tamirace Fakhoury has furthermore taught at the summer sessions at the University of California in Berkeley between 2012 and 2016. Fakhoury earned the Jean Monnet fellowship at the European University Institute in Florence, Italy (2010/2011) and the Alexander von Humboldt Fellowship at the German Institute of International and Area Studies in Hamburg, Germany (2014/2015). Fakhoury has published in The International Spectator, The European Foreign Affairs Review, Current History, International Migration, Middle East Journal, and Middle East Policy. She is member of the core coordination team of the Global Migration Policy Associates in Geneva. ENC Academic Council Member and Assistant Professor of Political Science and International Affairs at the Lebanese American University (LAU). Professional Background: Makram Ouaiss was Chair of the Department of Social Sciences between 2011 and 2013. Between 2010 and 2011, Ouaiss served as Chief Technical Specialist for the Strengthening Electoral Program in Lebanon with the United Nations Development Programme (UNDP) and advisor to the Minister of Interior and Municipalities on electoral issues. Before joining LAU, Ouaiss was associated with the National Democratic Institute (NDI) where he held the positions of senior advisor for political and electoral processes, deputy director for Central and West Africa and prior to that deputy director for the Middle East and North Africa region. Dr. Ouaiss has conducted parliamentary, political party, civic, election and conflict resolution programs in over 35 countries. Also he has worked at Amnesty International and the United Nations’ Education Scientific and Cultural Organization (UNESCO). ENC Academic Council Member and Senior Lecturer at Free International University of Moldova (ULIM) in the Department of International Relations, Political Science and Journalism in Moldova. Areas of Expertise: Devolution, geopolitics of borders, Eastern Partnership, Turkey-EU relationship and political Islam in Turkey, devolution phenomenon, specifically on devolution in the Republic of Moldova. Professional Background: Jack Vahram Kalpakian holds a doctorate in International Studies from Old Dominion University, Norfolk, Virginia. He specializes in Security Studies, International Political Economy and the Middle East/North Africa as well as the Sudan. Since August 2001, Kalpakian has been teaching at Al Akhawayn University Ifrane, a Moroccan university following the American tertiary education pattern in Morocco. Originally from Sudan, Kalpakian is a native Arabic speaker. ENC Academic Council and Assistant Professor of International Studies at the School of Humanities and Social Sciences of Al Akhawayn University (Morocco). Areas of Expertise: Al Qaida in the Islamic Maghreb, Radical Islam Algerian politics, Iranian nuclear crisis. 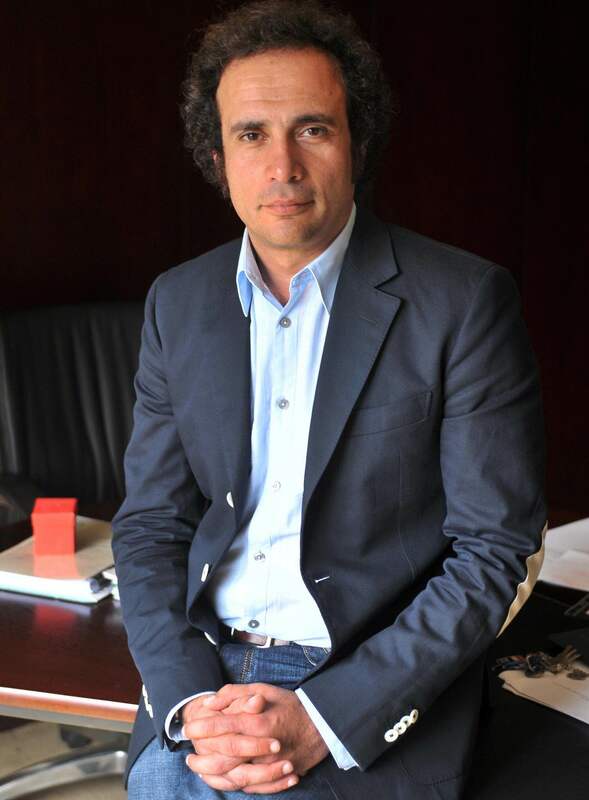 Professional Background: Dr. Djallil Lounnas holds a PhD in Political Science from the Université de Montreal. He was a professor at the School of Governance and Economics (EGE) of Rabat between 2011 and 2012 before joining Al Akhawayn University in 2013. He is a specialist of North African and Middle East security and has conducted extensive filed research on the Jihadist groups in North Africa and in the Sahel. Among his publications are: “The Evolution of the Strategic Environment of Algeria`s Post Arab” in Maghreb Machreck (2015), “Confronting Al-Qaida in the Islamic Maghreb (AQIM) in the Sahel : Algeria and the Malian crisis”, Journal of North African Studies (2014), “The Al-Qaeda in the Islamic Maghreb and Drug Trafficking in the Sahel” in Maghreb Machreck (2014), “Algerian Strategy against Al Qaeda in the Islamic Maghreb” Politique Etrangere (2013), “The Regional Fallouts of the French Intervention in Mali”, Mediterranean Politics (2013), “China and The Iranian Nuclear Crisis: Between Ambiguities and Interests”, European Journal of East Asian Studies (2011). ENC Academic Council Member and Professor of International Law at University Abdelmalek ESSAADI, Morocco. Professional Background: Prof. Saida Latmani is a member of several research networks involving many countries such as the Arab World, Spain, Portugal, France, Denmark, Finland, Russia, Belgium, Holland, England, the United States, Mexico, Brazil, South Africa and Senegal. After her law degree from the Marrakech school of Law school in 1991, she continued her Master’s degree in Lyon in the field of defense and international security. After graduation, she enrolled for PhD in public international law relating to the territories and borders. A few years later, she joined the Abdelmalek Essaâdi University in Tangier as a professor of Law where she held numerous positions in administrative and scientific capacity. She participated in the promotion of research and development in the Tanger-Tetouan region. She also organized many scientific and social events in the regional, national and international level. ENC Academic Council Member and Assistant Professor of EU Security/European External Relations at the Department of Political Science at the University of Amsterdam. He is also a Visiting Professor at the College of Europe in Natolin and an Associate Research Fellow at the European Neighbourhood Policy Chair, College of Europe in Natolin. Areas of Expertise: Peacebuilding, state-building, security-sector reform, conflict resolution, EU external relations, EU Common Security and Defence Policy, European Neighbourhood Policy, Euro-Mediterranean Relations, Middle East and North Africa politics, the Israeli-Palestinian conflict and Libya. Professional Background: Dr. Bouris holds a PhD in Politics and International Studies from the University of Warwick in the United Kingdom. Prior to joining the University of Amsterdam, he was a Research Fellow in charge of the southern dimension of the European Neighbourhood Policy at the European Neighbourhood Policy Chair of the College of Europe in Natalin, Poland and a visiting lecturer in Middle East Politics at Kingston University in the UK. Dr Bouris is the author of “The European Union and Occupied Palestinian Territories: State-building without a State” published by Routledge in 2014 for which he was selected as Routledge Politics and International Relations author of the month for February 2014. He is also the co-editor (with Tobias Schumacher) of “The Revised European Neighbourhood Policy: Continuity and Change in EU Foreign Policy” published by Palgrave in 2017. ENC Academic Council Member and Assistant Professor at the An-Najah National University in Palestine. Areas of Expertise: Politics in Palestine, Palestinian issue, elections in Palestine. Professional Background: Dr. Nairat holds his PhD from the Institute of International Relations in Ukraine. He was the Head of the Political Science Department at the An-Najah National University in Palestine. He has published, authored, translated and edited numerous books including, ‘‘Withdrawal from Gaza and Northern W.B: Response or Maneuover’’ published by the Middle Eastern Studies Journal, ”International Policies toward the Palestinian Cause 2005” published by the Palestinian Strategic Report. ENC Academic Council Member and Professor of Political Science and Director of Ibrahim Abou loughod institute at Birzeit university. Professional Background: Lourdes Habash, graduated from Birzeit University with a Master in International Studies. She was head of political science department at Birzeit university. Habash holds a PhD in Political theory and Theories. Author with others “Revolutions and the transition to democracy in the Arab region and Eastern Europe: Poland and Egypt model”. Professional Background: Dr. Haj Ibrahim served as head of the Political Science Department (2004-2005) at al Quds University. He later served as Dean Assistant (2005-06) and followed by Dean of the Art’s Faculty at Al Quds University. In 2008, Dr. Had Ibrahim moved to Birzeit University where he served a lecturer, and later as Chair of the Political Science Department on multiple occasions. His publications include ‘’Revolutions, democratic transitions in the Arab world and Eastern Europe: Poland and Egypt as a model’’ and “Elections in Palestine during the Ottoman era”. ENC Academic Council Member and the holder of the Chair in European Neighbourhood Policy at College of Europe. He is also an Associate Senior Research Fellow at the Centre for International Studies (CEI-IUL) at the University Institute of Lisbon. Areas of Expertise: European Neighbourhood Policy, Euro-Mediterranean relations, Middle East and North Africa politics, and Foreign Policy Analysis. 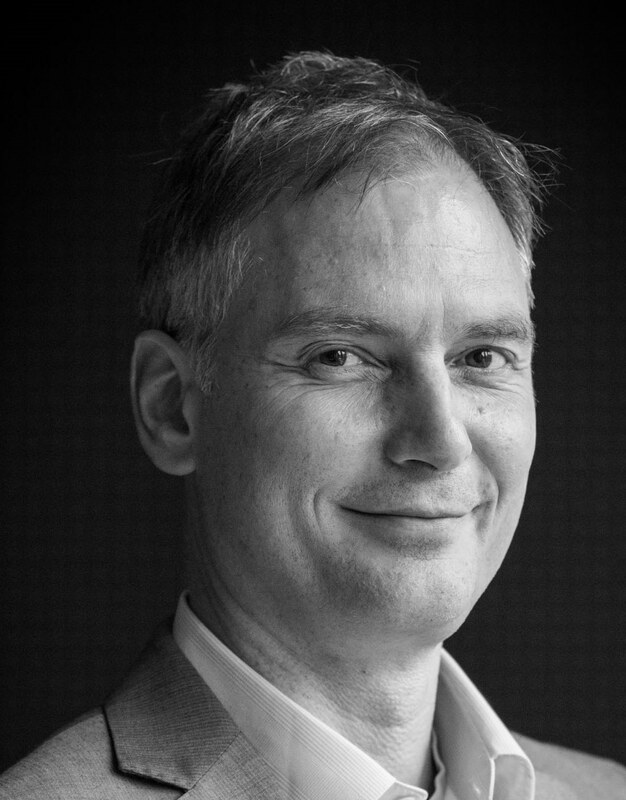 Professional Background: Prof. Schumacher earned his PhD in Political Science at the University of Mainz in 2002 and was awarded several fellowships and grants by, among others, Harvard University, the University of Cambridge and the European Commission. He taught at the European University Institute, the Dublin European Institute, Johns Hopkins University, Munich University, Mainz University, and Ilia State University in Tbilisi. He is the author of some 90 books, book chapters, articles and policy papers on the European Neighbourhood Policy, Euro-Mediterranean relations, Middle East and North Africa politics, and Foreign Policy Analysis. Professional Background: Licínia Simão, PhD in International Relations (specialisation in European Studies) from the University of Coimbra, is assistant professor at the School of Economics, University of Coimbra, and senior researcher and member of the Executive Board at the Centre for Social Studies, at the same university. She is currently Coordinatior of the IR Section at the Portuguese Political Science Association. Her research has been published in leading academic journals including International Politics, East European Politics, European Politics and Society, Small Wars & Insurgencies, European Security , Communist and Post-Communist Studies , among others. Her most recent publication is the the book “The EU’s Neighbourhood Policy towards the South Caucasus: Expanding the European Security Community” (Palgrave Macmillan, 2018). ENC Academic Council Member and Associate Professor of International Relations at the School of Economics of the University of Coimbra. She holds a Jean Monnet Chair – EU External Relations towards the East – 2016-2019. Areas of Expertise: Peace studies,foreign policy, international security, Russia and the post-Soviet space. Professional Background: Assoc. Prof Maria Raquel Freire received her PhD in International Relations from the University of Kent, UK, in 2002. She is currently director of the PhD Programme in International Politics and Conflict Resolution, CES|FEUC (FCT funded programme). She is also a member of the Governing Board of the European International Studies Association (EISA). Her work has been published in peer-reviewed journals such as European Politics and Society, European Review of International Studies, Journal of Balkan and Near Eastern Studies, East European Politics, European Security, International Peacekeeping, International Politics, Asian Perspective, Global Society, La Revue Internationale et Stratégique, Journal of Conflict, Security and Development, Relações Internacionais, among other. ENC Academic Council Member and Professor at the the European University of the Republic of Macedonia, Skopje. Areas of Expertise: Security sector reforms, conflict resolution, religious extremism, regional security, national security and Euro-Atlantic integration’s. Professional Background: Dr. Slaveski received his Ph.D. in defense and peace studies from the University of Skopje in 2001. Prior to becoming a member of the European University team, he was a Professor at the Military Academy in Skopje, Director of the Directorate for Security of Classified Information and he served as a military officer in the Army of the Republic of Macedonia. Dr. Slaveski published five books titled “The National Security of the Republic of Macedonia and Euro-Atlantic Integrations”, is the co-author of “European Union Through the Prism of European Security”, the co-author of “Interests of the Republic of Macedonia in NATO membership, Security System” and of the “Identity of the Contemporary Macedonian Nation”. Dr. Slaveski is one of the founders and President of the George K. Marshal in Skopje. He is also a President of Security and Defense Council of the Liberal-Democratic Party in the Republic of Macedonia. ENC Academic Council Member and Professor of Political Economy at the Faculty of Political Sciences of the University of Belgrade. Areas of Expertise: political economy, financial markets, European economic integration and its influence on the Serbian economy. Professional Background: Dr. Vasiljevic is a Professor of Political Economy at the Faculty of Political Sciences of the University of Belgrade. Dr. Vasiljevic holds two BAs, one in Political Science and one in Law. He also hold a PhD from the University of Belgrade and a doctoral research at University of Paris (Sorbonne). Dr. Vasiljevic has lead many research projects related to market-oriented reforms of Yugoslav and Serbian economy, including the foundation of money and capital markets, banking reforms and re-organizing of the internal payment system. He is a visiting professor at the post-graduate studies at the University of Nis (Serbia) and the University of Podgorica (Montenegro), and publishes in several papers on economic matters. ENC Academic Council Member and Senior Lecturer at the University of Fribourg in the Department of Social Sciences (Switzerland). Areas of Expertise: South Caucasus, religion-state interaction, religious policy, religious education. Professional Background: Dr. Jödicke holds a PhD in the Study of Religion (Zurich 1997). He led several joint research projects in the South Caucasus and edited two volumes focusing on the issue of politics and religion (Religion, Nation and Democracy in the South Caucasus, Routledge 2015, and Religion and Soft Power in the South Caucasus, Routledge 2017). ENC Academic Council Member and Director of Institute of Economics and Demography Academy of Sciences of the Republic of Tajikistan (IED). Areas of Expertise: Macroeconomics , international economics. Professional Background: Dr. Lutfullo is Director of Institute of Economics and Demography Academy of Sciences of the Republic of Tajikistan (IED). 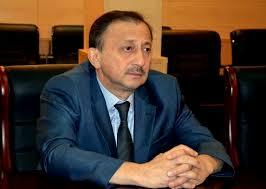 He is also President of the Tajik Engineering Academy and Professor of the National University of Tajikistan. His past career includes Head of the committee of Science, Education, Culture and Youth Policy of Parliament of the Republic of Tajikistan, Dean of Economic and Social Faculty of Tajik Economic Institute, Regional Director of Education Network Program of CARANA Corporation. His areas of specialization are macroeconomics and international economics. He received several honors from the Tajik government and has more than 150 publications, including monographies and textbooks. ENC Academic Council Member and the Deputy Chairman of the Social Democratic Party of Tajikistan, and a board member of the Tajik legal consortium (NGO). Areas of Expertise: The state and law theory, constitutionalism, parliamentarianism and international law. Professional Background: Prof. Kosimjanovich graduated from the Tajik Polytechnic Institute, Tajik State University, and completed post-graduate studies at the Institute of Philosophy and Law of the Academy of Sciences of the Republic of Tajikistan. He is also a doctorate at the Institute of State and Law of the Academy of Sciences of Republic of Tajikistan and a doctorate of Law at the faculty of the Russian Peoples’ Friendship University. From 2006 to 2010, he worked as the Head of Department of Law and International Relations of the Tajik International University. He is an author of more than 80 scientific publications, including monographs, course books, teaching and learning aids and educational programs on topical issues of the state and law theory, constitutionalism, parliamentarianism and international law. Since 2006, Kosimjanovich is the Deputy Chairman of the Social Democratic Party of Tajikistan, and a board member of the Tajik legal consortium (NGO). ENC Academic Council Member and Vice-Rector for International Relations at Tajik State University of Commerce (Tajikistan). Areas of Expertise: Economics, international relations. Professional Background: Prof. Kadyrova holds a PhD in Economics (Tajikistan,2003). She has been Vice-Rector for International Relations at the Tajik State University of Commerce (Tajikistan). Between 1987 and 1992, she was an economist at the Research Institute of Conjuncture Market and Demand. Between 2005 and 2011, Kadyrova was the coordinator of Higher Education Support Program at Open society Institute- Assistance Foundation. She has experience in different projects such as ‘’Interaction of Labor Market and Market of Educational Services in Tajikistan’’ funded by the Open Society Institute. She speaks Tajik, Russian and English. ENC Academic Council Member and PhD student Maria-Sklodowska Curie Research Fellow in School of International Relations at the University of St Andrews. She is a Research Affiliate at the Tajik National University. Areas of Expertise: Central Asia, migration, development aid. 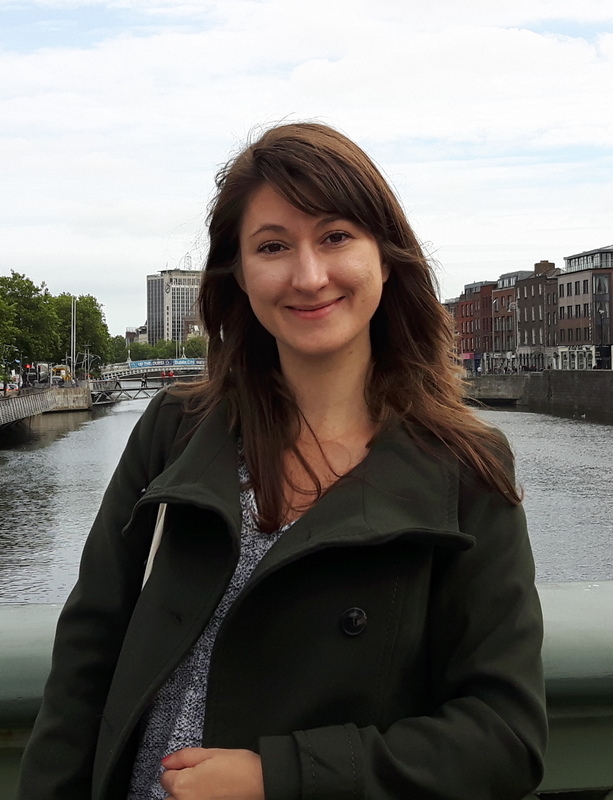 Professional Background: Karolina Kluczewska is writing her PhD dissertation on international organisations and development aid in Tajikistan. Previously she has worked in the International Organization for Migration (IOM) Mission in Tajikistan, as well as for local NGOs. 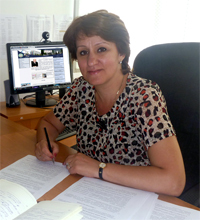 She is Monitoring and Evaluation Manager at Eurasia Foundation of Central Asia (EFCA) in Tajikistan. She conducted small pieces of research on sexuality, migration, women and everyday peace in Tajikistan. ENC Academic Council Member and Assistant Professor at the University of Stax (Tunisia). Areas of Expertise: International Relations, Security. Professional Background: Dr. Emna Ben Arab served as Member of the Tunisian Parliament (2004-2011) before joining the University of Sfax. She is the author of a book entitled “A Future Made Perfect? The Image of the Coming Millennium in American Science Fiction”, and of a number of articles on security issues: “The Making of a Foreign Terrorist Fighter: Tunisia as a Case Study”, “The Impact of Syria’s War on the Security Environment in the MENA Region”, “Foreign Fighters: the new security threat”. ENC Academic Council Member, Assistant Professor at the Department of Political Science and International Relations, Yıldız Technical University (Istanbul, Turkey). Areas of Expertise: Refugees, migration. Professional Background: Dr. Fulya Memisoglu previously worked as research fellows at the Refugee Studies Centre, University of Oxford (2017), Robert Schuman Centre for Advanced Studies of the European University Institute (2013). She regularly works with international research teams and is an adviser for various governmental and non-governmental projects on Turkish migration and refugee policy. Dr. Memisoglu holds an MA from the University of Warwick and a Ph.D in Politics from the University of Nottingham. ENC Academic Council, President of ORSAM and Associate Professor at the Department of International Relations at TOBB ETU (Turkey). Areas of Expertise: Foreign policy, human rights, energy security, radicalisation. Professional Background: Dr. Saban Kardas has taught classes at the Diplomacy Academy, Sakarya University, Police Academy and the Turkish Military Academy. He has published scholarly articles and book chapters on Turkish domestic and foreign policies, human rights, energy policies and international security and has been an occasional contributor to Turkish and international media. Besides, he is assistant editor to the quarterly journal Perceptions and writes analyses for the GMF’s on Turkey series. Dr. Kardas received his PhD in political science from the University of Utah. ENC Academic Council Member and Associate Professor and the Head of the Department of International Relations at TOBB University of Economics and Technology. Areas of Expertise: Islamic radicalisation, security, international relations. Professional Background: Assoc. Prof. Yalçınkaya graduated from Kuleli Military High School and Turkish Military Academy. During his military service as an officer, he completed his post-graduate studies in International Relations at Istanbul University. He studied “peacekeeping” at MA level and “transformation of war” at Ph.D. level. After earning his Ph.D. degree, he had academic studies at Oxford University, West Point Military Academy and the University of Florida. After serving more than ten years at the Turkish Military Academy he has been an Associate Professor in International Relations at TOBB University of Economics and Technology since 2013. As of now, he has been conducting research on Foreign Fighters. ENC Academic Council Member and Professor of International Relations and the Dean of the Graduate School of Social Sciences at Kadir Has University (Turkey). Areas of Expertise: Caucasus, North Caucasian Diaspora, people and security in the Caucasus and Black Sea regions, Turkish-Russian relations, energy security and critical infrastructure protection. Professional Background: Prof. Çelikpala previously served as an academic advisor for NATO’s Center of Excellence Defense against Terrorism in Ankara (2009-2012), especially regarding the regional security and the critical infrastructure protection. Also, he was a board member at the Strategic Research and Study Center (SARAM), Turkish General Staff (2005-2011); Academic Adviser for the Center for Strategic Research (SAM), Turkish Foreign Ministry (2002-2010) and Caspian Strategy Institute, Istanbul Turkey (2012–2013). He was a Senior Associate Member at St Antony’s College, Oxford University in UK between 2005 and 2006. ENC Academic Council Member and Executive Director at the Turkish Fulbright Commission and a Professor in the Department of International Relations at Bilkent University in Turkey. Areas of Expertise: International relations theory, globalization and security, terrorism, and Turkish domestic and foreign politics. 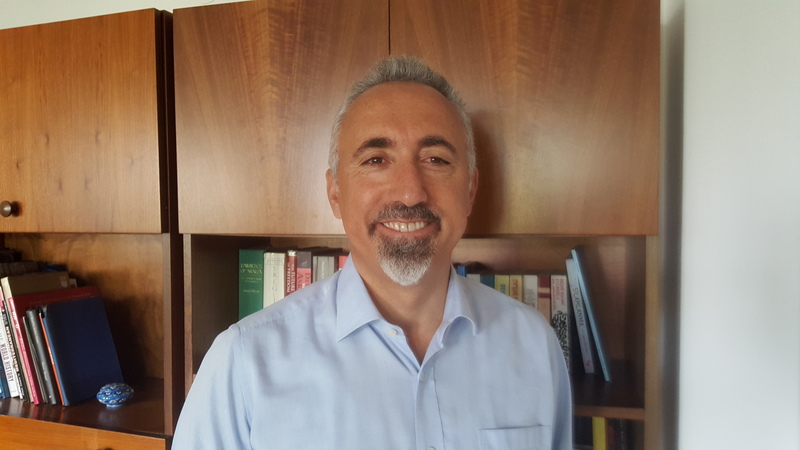 Professional Background: Prof. Aydınlı has an MA in International Relations from the George Washington University, a PhD in political science from McGill University, and a post-doc from the Kennedy School at Harvard. He has taught at the Elliot School of the George Washington University and at Middle East Technical University, and served as IR Department Chair at Bilkent University from 2007-2010. Before joining academia he was a police inspector within the Turkish National Police in Istanbul. As an academic he has authored dozens of articles and several books, the latest of which, ”Violent Non-State Actors: From Anarchists to Jihadists”, was published in 2016 by Routledge. His recent research interests include education and peace, in particular, the role of international educational exchanges in public diplomacy. Associate Professor at the Faculty of Law in Cukurova University and the head of the Department of International and EU Law. Member of the board of Centre for Strategic Studies in Cukurova University. Areas of Expertise: Human Rights, Asylum Policy, EU Law, EU-Turkey Relations. Professional Background: She worked as a research fellow in University of Oxford (2009) and as a visiting scholar in University of Rome II (Torvergata) (2013). She also did her Post-Doc in University of Vienna, Faculty of Law as a Jean Monnet Scholar in 2015. 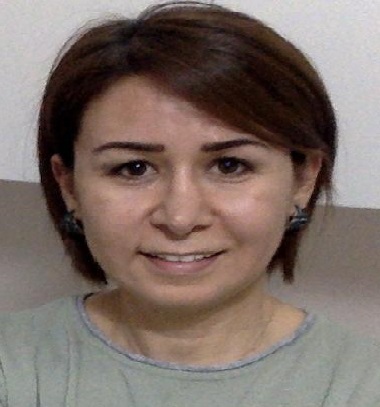 She holds a LLM from Dokuz Eylul University and a PhD in European Union Law from Ankara University. She is the author of several books, book chapters and articles in national and international journals related to European Union issues. ENC Academic Council Member and Reader in International Relations, School of Social Sciences, University of East London. 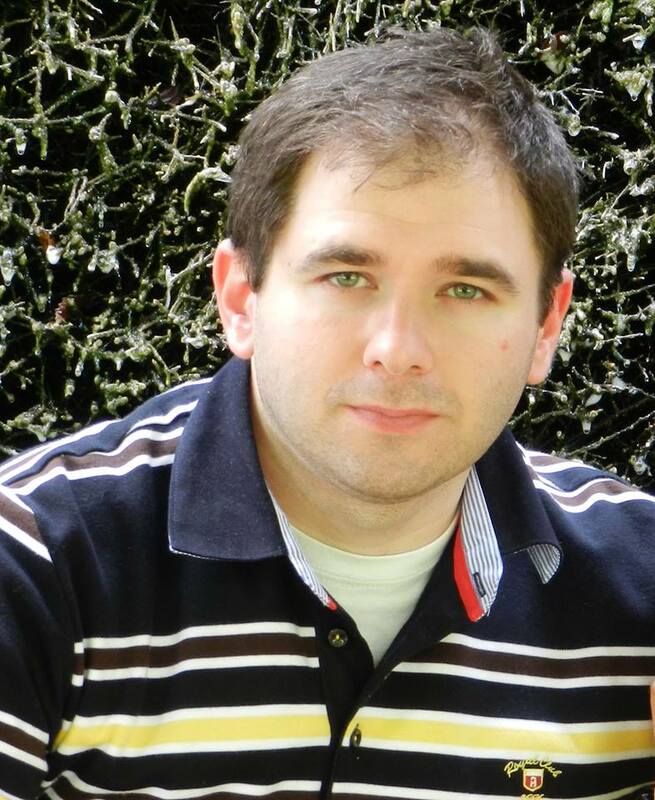 Professional Background: Dr. Branislav Radeljic is Reader in International Relations, University of East London. His main research interests focus on the study of European Union and Western Balkan politics. He has held visiting fellowships at the London School of Economics and Political Science, University of California at Berkeley, University of Illinois at Urbana-Champaign, University of Michigan and University of Pittsburgh. He is the author of Europe and the Collapse of Yugoslavia: The Role of Non-State Actors and European Diplomacy (2012), editor of Europe and the post-Yugoslav Space (2013), Debating European Identity: Bright Ideas, Dim Prospects (2014) and European Community-Yugoslav Relations: Debates and Documents that Mattered (1968–1992) (2017), and co-editor of Religion in the post-Yugoslav Context (2015) and Kosovo and Serbia: Contested Options and Shared Consequences (2016). Outside academia, on an occasional basis, Branislav conducts research and provides consultancy services within his area of expertise. ENC Academic Council Member and Professor at the University of St Andrews (Scotland, UK). Areas of Expertise: Comparative regionalism, foreign policy, security, conflict resolution, post-communist countries. Professional Background: Professor Rick Fawn holds a Chair in International Relations at the University of St Andrews. He has published dozens of academic journal articles and book chapters concerning IR, comparative regionalism, foreign policy analysis and the politics, security, conflicts and regional and international relations of post-communist countries. His most recent of twelve books is International Organizations and Internal Conditionality: Making Norms Matter (Palgrave Macmillan, 2013). He has worked on-ground in numerous capacities across most countries of Central and Eastern Europe and the former Soviet Union. Rick’s work also extends to secondments, invited contributions and briefings to international media, NGOs, national governments and intergovernmental organisations. ENC Academic Council Member and academic visitor and a fellow of SRF/ASCN/CARA at St.Antony’s College, University of Oxford and a research associate at Russia and Eurasia Center at Uppsala University. Areas of Expertise: Domestic and foreign policy, energy security, conflicts and security sector reform,EU and NATO integration, multilateralism, energy security. conflicts and politics in the South Caucasus,conflict resolution, Democratisation, energy, European Union, Russia, Security, South Caucasus. Professional Background: Dr. Alieva is a founder and a head of the “think tank” Center for National and International Studies (2004). Leila Alieva held research fellowships at Harvard University (1993-1994), UC Berkeley (2000), Woodrow Wilson Center Kennan Institute (1995), SAIS Johns Hopkins University (2001), NATO Defense College in Rome, Italy (2005) and in 2007 at the National Endowment for Democracy in Washington DC, where she researched the interrelations of oil and democracy. She advised the President of EBRD, served on the board of the Open Society Institute in Baku in 1998 and was a National Coordinator of the Human Development Report for UNDP (1997). Her research on the regional politics was published by the Oxford University Press, Sharpe, Journal of Democracy, Jane’s Intelligence Review and other. She has extensively been writing on the issues of EU and NATO integration. ENC Academic Council Member and lecturer in the Department of Political Science and International Studies at the University of Birmingham. Areas of Expertise: Post-colonial perspectives on contemporary Eurasian politics, democracy/security nexus in the former Soviet space. Professional Background: Dr. Oskanian obtained his PhD at the London School of Economics’ Department of International Relations, and has previously taught at the LSE and at the University of Westminster. His latest monograph “Fear, Weakness and Power in the Post-Soviet South Caucasus” analyses security in the region from a Copenhagen School perspective. His current research interests include post-colonial perspectives on contemporary Eurasian politics, and the democracy/security nexus in the former Soviet space. ENC Academic Council Member and the Co-Director of the Centre for Trust, Peace and Social Relations, Coventry University in the UK and the President of Centre for Strategic Research and Analysis (CESRAN) in the UK. Areas of Expertise: Conflict resolution, peacebuilding, conflict transformation, post-conflict reconstruction, the politics of humanitarian interventions, role of faith in conflict prevention, youth in peacebuilding, rising powers in peace and conflict, disaster management, security sector reform, reintegration of former combatants and post-conflict state building. Professional Background: Prof. Özerdem is the Chair of the annual Istanbul Human Security Conference since 2011 and has been organizing Global Peace Workshop for young peacebuilders since 2013. He sits in editorial boards of a number of academic journals as well as acts as Peace Studies Co-Chair of the International Studies Association, Peer Review Member of the UK’s Economic & Social Research Council, and is an Invited Expert for the UNESCO’s International Decade for the Rapprochement of Cultures between 2013 and 2022. With over 20 year field research experiences in Afghanistan, Bosnia-Herzegovina, El Salvador, Kosovo, Lebanon, Liberia, Nigeria, Philippines, Sierra Leone, Solomon Islands, Somalia, Sri Lanka, Tajikistan and Turkey, he has published 14 books and numerous journal articles, book chapters, op-eds and amongst other, is author of “Post-war Recovery: Disarmament, Demobilisation and Reintegration” published in 2008 and is the co-editor of “Human Security in Turkey” published in 2013. ENC Council Member, Director of the Centre for European Research and Lecturer in Public Policy at Queen Mary, University of London. Dr. Wolff is also Senior Research Associate Fellow at the Netherlands Institute for International Relations (Clingendael). Areas of Expertise: External dimension of Justice and Home Affairs; EU migration, border and asylum policies in the Mediterranean neighbourhood and beyond; Brexit implication for UK/EU migration, asylum and border management; Euro-Mediterranean relations; EU relations with North Africa; the role of religion and secularism in EU’s foreign policy; EU-Islam relations; EU democratization policies; de-centring EU’s foreign policy; EU theories and practice of policy-making; EU development policy. Professional Background: In 2014/2015, Dr. Sarah Wolff was a Fulbright-Schuman fellow at the Transatlantic Academy (Washington, DC) and was also awarded a 2014/2015 Leverhulme Research grant for a research on EU Engagement with Islamist political parties in Morocco and Tunisia. She is the editor of the peer-reviewed journal Mediterranean Politics. In the past she has worked at DG EuropeAid, European Commission and as a parliamentary assistant at the European Parliament. Her monograph The Mediterranean Dimension of the European Union’s Internal Security (Palgrave, 2012) builds upon fieldwork in Europe, Morocco, Egypt and Jordan. She received the LISBOAN Research Award 2012 for her co-edited book ‘Freedom, Security and Justice after Lisbon and Stockholm’ (Asser, 2012). Dr Wolff regularly contributes in various media (EU Observer, Le Monde, Today Zaman, Open Democracy, Al-Jazeera, Skynews, etc), blogs at http://sarahwolffeu.wordpress.com/, and tweets @drsarahwolff. Dr Wolff holds a PhD in International Relations (LSE, 2009), an MSc in European Politics and Governance (LSE, 2004) and a BA in Public Administration (Science Po Grenoble, 1999). ENC Academic Council Member and Professor of Political Science and Department Head at Kharkiv V. N. Karazin National University in Ukraine. Professional Background: Oleksandr Fisun held visiting fellowships at the Kennan Institute and the National Endowment for Democracy (Washington, DC), the Centre for European, Russian, and Eurasian Studies at the University of Toronto, the Ellison Center for Russian, East European, and Central Asian Studies at the University of Washington, and the Canadian Institute of Ukrainian Studies at the University of Alberta. He is the author of “Demokratiia, neopatrimonializm i global’nye transformatsii” [Democracy, Neopatrimonialism, and Global Transformations] (Kharkiv, 2006), as well as numerous book chapters and articles on regime change, informal politics, and neopatrimonialism in Ukraine. ENC Academic Council Member and Head of Jean Monnet Centre of Excellence and Jean Monnet Chair in EU Law at the National University of Kyiv-Mohyla Academy in Ukraine. Areas of Expertise: EU law, EU business law, EU external relations law, approximation and harmonisation of legislation in the EU, legal aspects of regional integration in the Post-Soviet area. Professional Background: Prof. Petrov lectured the very first Jean Monnet Module in EU law at the Donetsk National University in Ukraine. He conducted post-doctoral research as Max Weber Fellow at the European University Institute in Florence,Italy and was awarded research visiting fellowships at the University of Heidelberg in Germany, University of Oxford, Ghent University and other international universities. He is a visiting professor at the University of Latvia in Riga and at the Augsburg University in Germany; a Foreign Chair at the Ghent University in Belgium and the author of one of the first Ukrainian textbooks on EU Law. Prof. Dr. Petrov is active in publishing in internationally recognised peer-review journals. 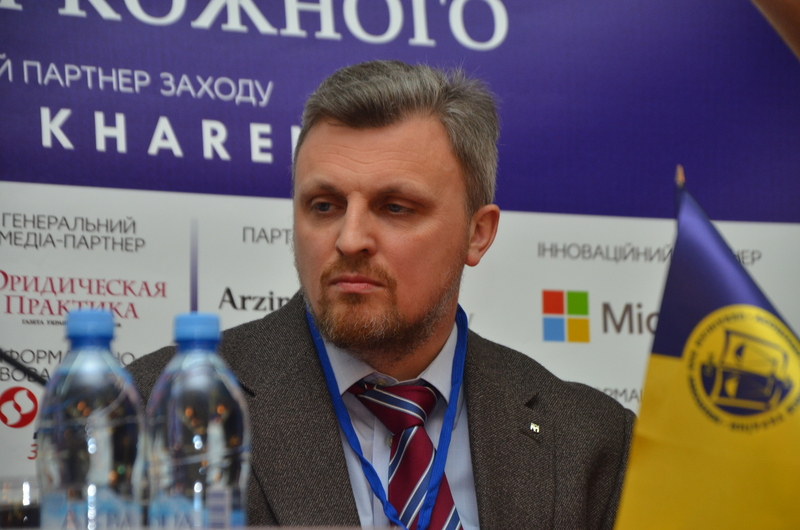 He is the founder and first elected President of the Ukrainian European Studies Association. Prof. Dr. Petrov frequently provides consultancy to state institutions in Ukraine, including the Parliament of Ukraine, Constitutional Court of Ukraine and Ministry of Justice. ENC Academic Council Member, Dean of the School of International Relations at the Institute of Social Sciences, Associate Professor at the Department of International Relations, and Leading Research Fellow at the Center for International Studies at Odessa Mechnikov National University (ONU). Areas of Expertise: Ukraine Foreign and Security Policy, International Relations in the Black Sea-Caspian region, European and Euro-Atlantic Security, Russia Foreign Policy, NATO-Ukraine, EU-Ukraine relations. Professional Background: Dr. Sergii V. Glebov received his Ph.D. in June 2002. In 2000/2001 he was a visiting scholar at the Center for European Studies, University of Exeter and in 2003 at Columbia University, Harriman Institute. He has received several individual and institutional fellowships, including from HESP/AFP Open Society Institute (Budapest, Hungary), Carnegie Foundation and Jean Monnet Program. He has been involved in several TEMPUS/Erasmus+/Horizon 2020 Projects in the sphere of higher education and research. He is author and host of political programs at the Odessa Media TV-Radio Group “GLAS”.